Are you ready for your new favorite room in your house? 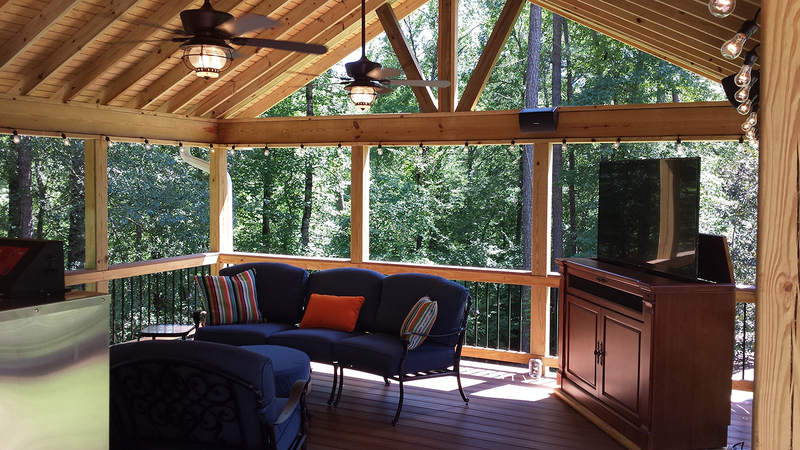 No other outdoor space epitomizes ultimate outdoor living enjoyment and relaxation better than an open porch or a screened porch. An open or covered porch takes you back to a time when the world moved a little slower and people took the time to sit back and relax in a rocking chair on their porch. Today’s modern covered porches still achieve that same timeless charm but with updated amenities that make it more comfortable and with added function. 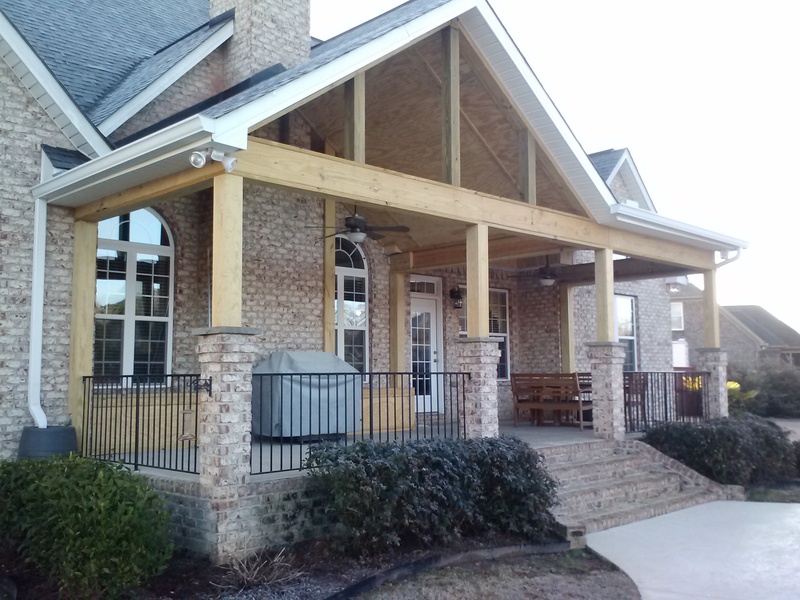 Watch our video about porch options to get additional ideas for what structure is best for you. As you get ready to add a great new room to your home, there are a few options, considerations and decisions. 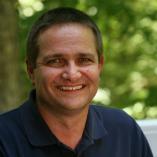 The first and most important consideration is often one that homeowners don’t put first. This option is exactly how you want to use your porch. Many of us have dreamed of adding an outdoor living space for a long time. We’ve thumbed through magazine and know a set of design options we absolutely must have. We’ve looked back at our house from the yard and know exactly where we want the new room to attach to our home. We’ve probably even eyeballed some great furniture to decorate the new space. But how do you want to use it? We are so accustomed to taking what already exists and making it work. When we purchase a new home we cannot indicate that we love the house but specifically that the dining room be made a few feet longer before we are willing to purchase the home. You get what you get and you find a way to work within those confines. Now you get to choose. You are not limited by confines that someone else designed. How do you decide? First, think about how you want to use the space. Do you want to eat outside? 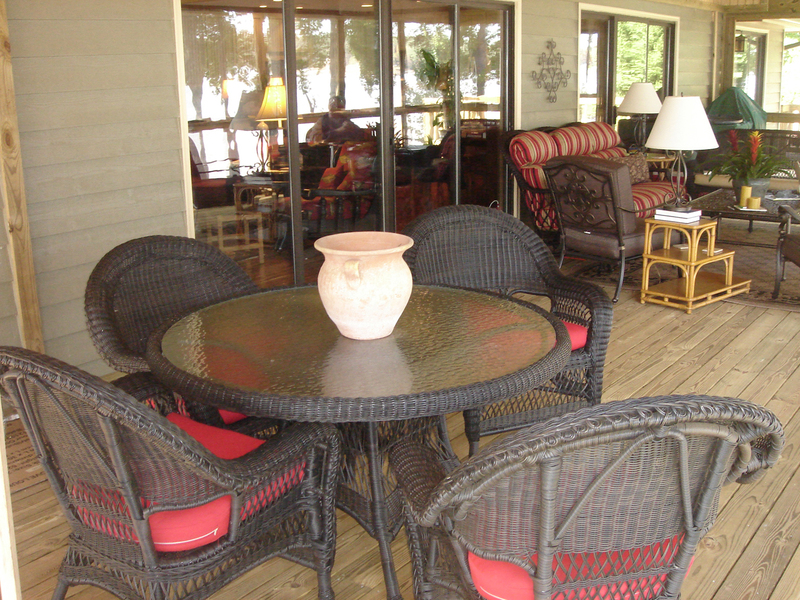 Do you want a seating area outside for entertaining or family enjoyment? How often do you plan on using the space for those activities? For example, you may want to host the family’s Christmas party and need space for overflow. But if that’s the only time you need seating for 10 or 15, it probably doesn’t make sense to build your new room around needing that much space. On the other hand, it is very important to know whether you want a very cozy eating space to steal away every morning to enjoy your coffee or whether you regularly want your family of 5 to have family dinners outside. Those are 2 very different table sizes and require substantially different sized areas to accommodate both. From a seating perspective, do you plan on having a weekly family movie night? Do you want your home to be the go to place for sports games? Think through not only how you want to use the space but also how many will be using that space at the same time. Here is the central GA area, there are many days that are simply too hot to spend much time out in the direct sun. 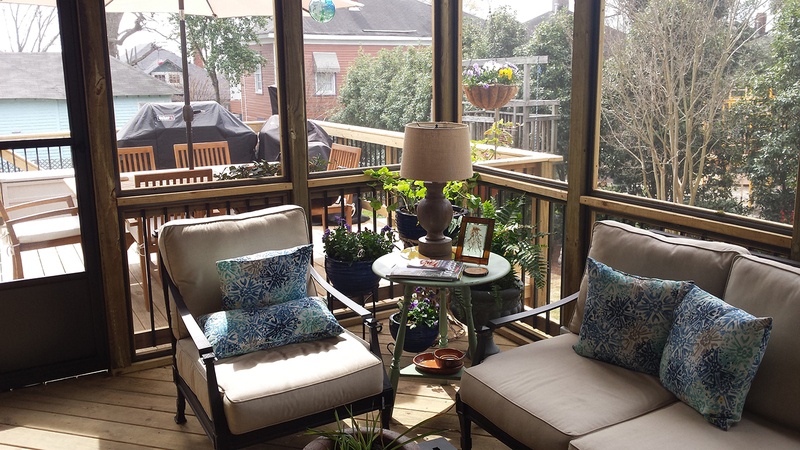 An open porch is a tremendous option that provides protection from direct sun but you can still enjoy bright sunny days and even cool misty days under cover of your porch. There are a number of different names for this space. Some even call it a covered patio. It is an open space with a permanent roof that’s connected to your home. Another location option of an open porch is near your pool or detached from your house. This provides a space to get away from some direct sun and also some cover from light rain and even from falling debris such as leaves. When it comes to choices and amenities, your imagination is the only limit. 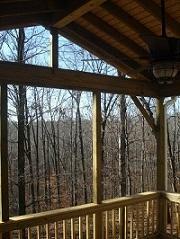 You can view our open porch and screened porch galleries for more custom ideas by visiting our porch gallery page. Imagine an outdoor oasis that provides all the enjoyment of the great outdoors with protection from the dreaded insects and inclement weather. 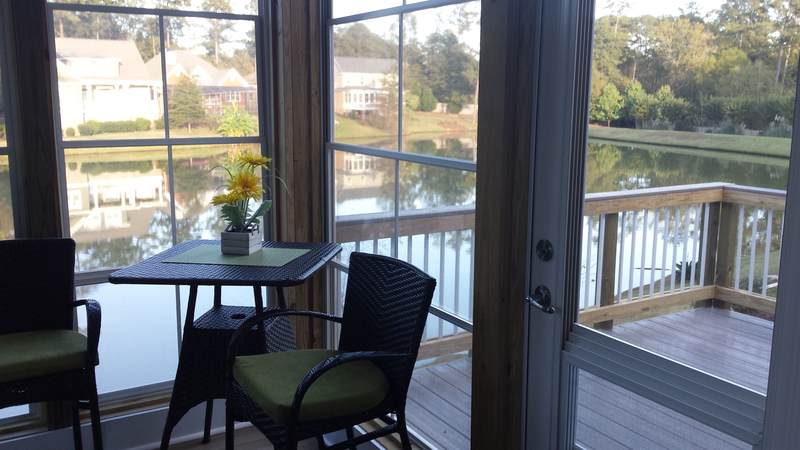 That is exactly what our custom screen porches can deliver. 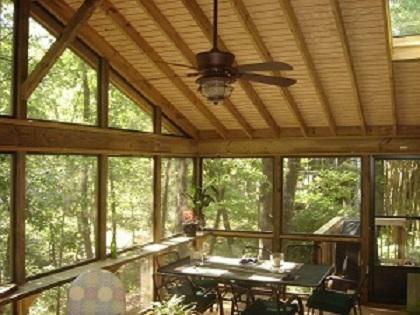 A screened porch provides a safe haven and all the comforts of being outdoors, without actually having to deal with the negative aspects of Mother Nature.